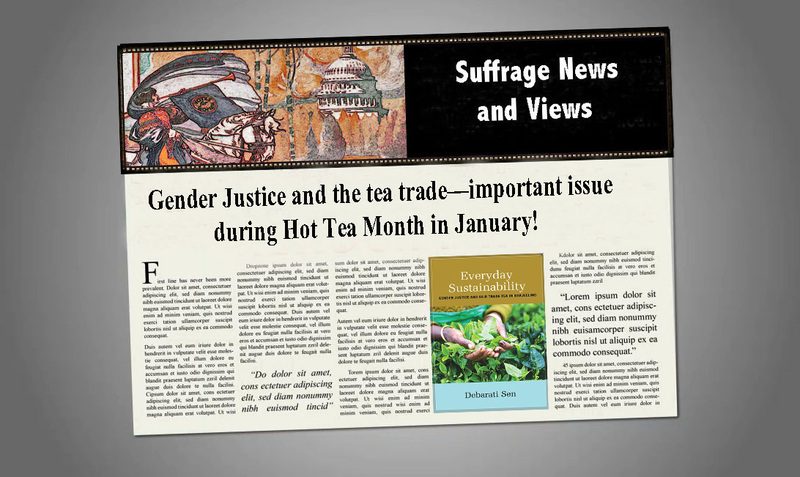 January is Hot Tea Month at Suffrage Wagon News Channel—videos & a book! Keep the tea pot hot for Susan B. Anthony’s birthday party in February! from Vimeo. White House Picketing & Hot Tea in 1917: Part of the “Night of Terror” observance from Vimeo. Suffrage tea memorabilia from the collection of Kenneth Florey: Video. This book by SUNY Press features the contradictions that emerge within conscious capitalism initiatives that are designed to empower women. Everyday Sustainability takes readers to ground zero of market-based sustainability initiatives—Darjeeling, India—where Fair Trade ostensibly promises gender justice to minority Nepali women engaged in organic tea production. These women tea farmers and plantation workers have distinct entrepreneurial strategies and everyday practices of social justice that at times dovetail with and at other times rub against the tenets of the emerging global morality market. The author questions why women beneficiaries of transnational justice-making projects remain skeptical about the potential for economic and social empowerment through Fair Trade while simultaneously seeking to use the movement to give voice to their situated demands for mobility, economic advancement, and community level social justice. Debarati Sen is Associate Professor of Anthropology and International Conflict Management at Kennesaw State University. Suffrage Wagon Cafe. 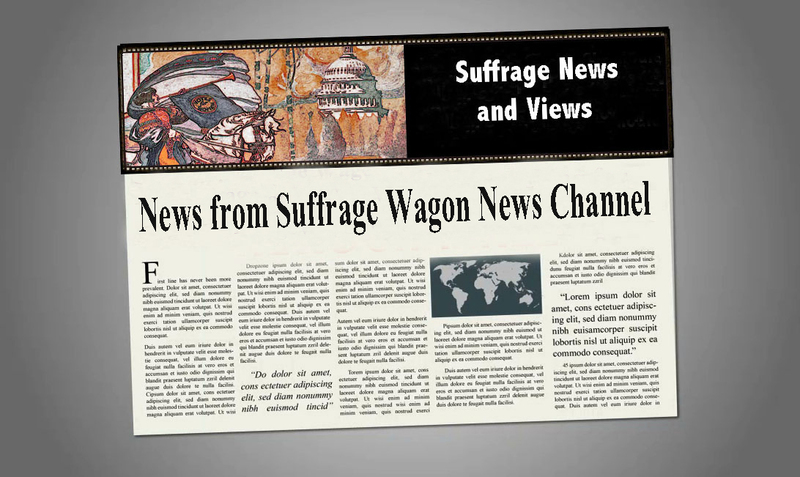 And stay up to date with Suffrage Wagon News Channel. Plan now to see a model of the Elizabeth Cady Stanton and Susan B. Anthony statue that is on exhibit through March 2019 at the New York State Museum in Albany, NY. 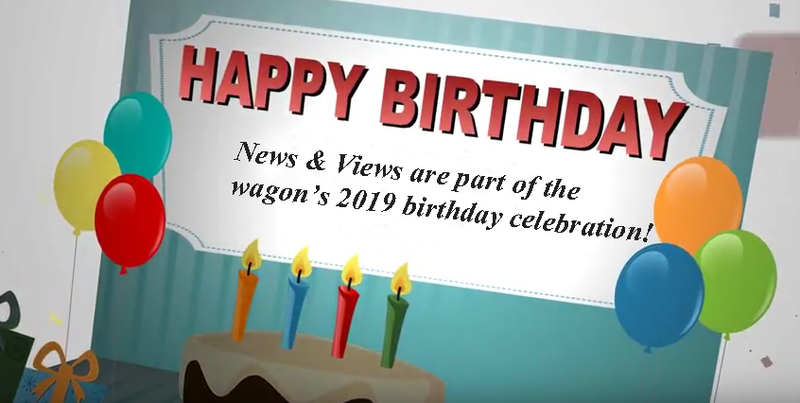 The “Spirit of 1776” suffrage wagon used by Edna Kearns will be on exhibit during 2020 at the New York State Museum in Albany, New York. Let’s Celebrate women’s equality at Suffrage Wagon Cafe!